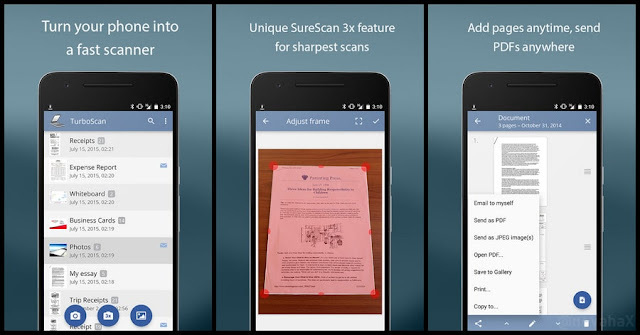 TurboScan boasts a powerful yet easy to use interface.TurboScan turns your android into a full-featured professional and powerful multi page scanner for documents, receipts, notes, whiteboards, photos, or other everyday text. With this app, you can quickly scan your documents in high quality and store or send them as multipage PDF or JPEG files. 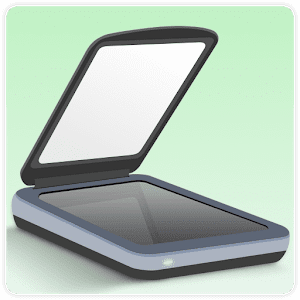 Get instant one-tap brightness, rotation and color controls all on one screen! TurboScan's handy "Email to myself" feature lets you send documents to a predefined address, or even upload them to online storage sites like Dropbox, with a single tap. Make sure your document is flat and well lit. For best edge detection, include some margin around your document while shooting. Use flash in low light conditions, but avoid glare with glossy documents.